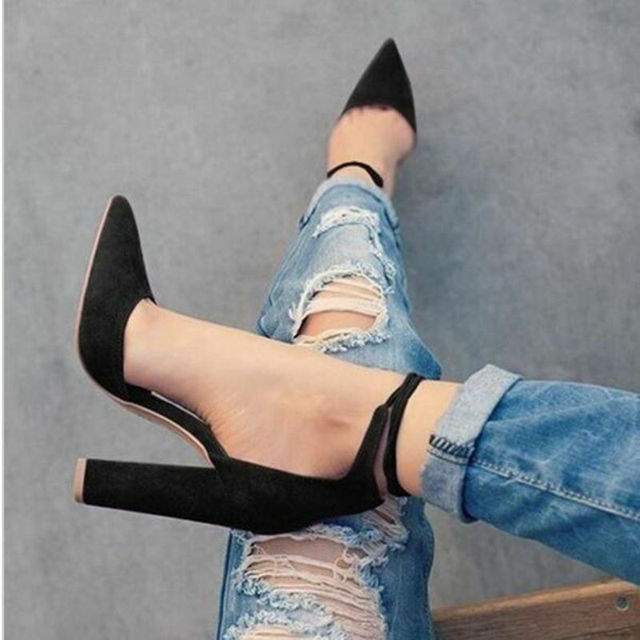 2018 spring new women shoes basic style retro fashion high heels | Welcome To Infomajestic online store. The shoes are nice and good furniture finish. Arrived in the number I ordered But are a little large, which can fix with a insole. I Am satisfied with the purchase. Could be material of best quality, about foremost in material of the insole and that shapes the shoe, but by the price I think it was something to be expected. it looks really good and just like the picture but the quality is not great. its not glued very well. still, you get what you pay for i guess.